People who drive under the influence of alcohol are gambling with their life and the lives of others. 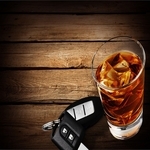 Despite both heavy punishments and financial penalties, people continue to drink and drive. In a number of states, those convicted of drunk driving are now required to install ignition interlock devices in their vehicle before they can have their license reinstated. Ignition interlocks prevent vehicles from starting, if the driver has been drinking, even if their blood alcohol content is elevated from mouth wash.
New research indicates that states that require ignition interlocks saw 15 percent reduction in alcohol-related accident fatalities, Reuters reports. The findings come from National Highway Traffic Safety Administration data from 1999 to 2013. The study appears in the American Journal of Public Health. “We were able to see a real improvement in states that require them for all drunk driving convictions,” said lead author Elinore J. Kaufman, a student with the Health Policy Program at the University of Pennsylvania in Philadelphia. The National Conference of State Legislatures reports that 23 states mandate ignition interlock for all drunk driving convictions, according to the article. All 50 states have some form of interlock legislation, but not every state requires the use of them. At the time of the study, only 18 states required those convicted of drunk driving to install interlock devices. The researchers compared alcohol-related crash deaths in those 18 states to the 32 states without interlock requirements. At Hope By The Sea we understand that alcohol abuse happens for many reasons, but individuals can regain control of their lives and learn to live without using alcohol as a crutch or escape. Unfortunately, many individuals are unable to accept permanent separation from alcohol and continually try to have one drink or two, which restarts the cycle of addiction and quickly leads to self-destructive behaviors. Contact us to learn more about treatment and recovery.